With the many advances in dental technology, oral health problems can be caught early and addressed quicker. And the solutions for oral health are more promising than ever before. Our dental patients benefit from the state-of-the-art dental technology we utilize. Our dentists are able to diagnose and correct dental problems in half the time. Our patients benefit by having their treatments completed in a timely manner, the procedures are less painful and more treatment options are available. Early detection creates a powerful call to action for both the dentist and patient alike. Galileo’s is a three-dimensional x-ray machine. For replacing missing teeth, nothing serves the patient’s best interest more than imaging the area with this technology. It allows us to accurately measure the exact thickness and height of bone available for placing a dental implant. Implant placement without this technology reduces the likelihood of ideal placement and increases the risks of nerve damage or perforating the sinuses. 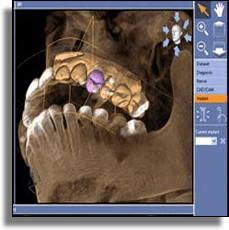 Coupled with the cerec cad/cam imaging system, we can virtually place your new tooth into the 3D image and design your implant placement exactly where it needs to be in relation to your teeth and jawbone. This digital technology exposes you to much less radiation exposure than the traditional film based two-dimensional image, and at the same time gives much more information. 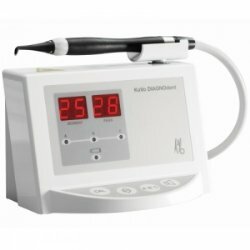 We are one of only a hand full of general dentist offices in the Seattle area that has this technology in their office. We know your time is valuable. That is why we provide CEREC technology, an easier and faster experience for our patients. 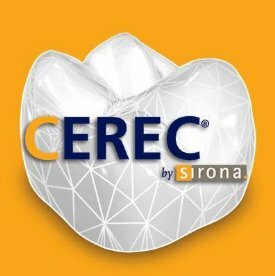 With CEREC, we can complete your crown or veneers, in one appointment. There is no need for an impression, temporary, a second appointment, or a second shot! Everything is done, start to finish, in one visit. The restorations are metal free, and are more esthetic, better fitting and four times stronger than traditional crowns. Utilizing cad/cam technology, your tooth is optically scanned, and then the tooth is designed and made in the office. 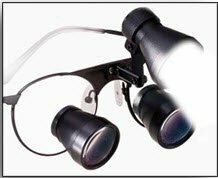 The doctors and even our hygienists wear surgical magnification loupes with a head mounted high intensity light. It is the standard of care, and we wouldn’t work without them! Magnification loupes allow us to provide better patient care. There are things that can be missed with the naked eye. Magnification loupes reduce the risk of us missing a diagnosis and helps assist in developing the most appropriate treatment plan. Our office utilizes digital x-rays. This technology benefits you by cutting the amount of radiation you are exposed to by more than 50%. It also benefits the environment. We have done away with the chemicals used to develop traditional x-rays, and all the waste produced by the actual film. Digital offers even more diagnostic benefits than film, in that we can magnify the x-ray on our computer screen. This allows us to share the image with you and better educate you on your oral health. Having the ability to take a picture of your tooth magnified forty times helps us see things that would be difficult even with our surgical loupes. Again, using this camera helps us in diagnosis and in educating you. 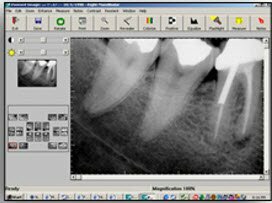 One of the best tools we have to get our patients involved in their dental diagnosis and treatment is our Intraoral Digital Cameras. These allow you to see what we, the dental team, are seeing. This helps you see for yourself exactly what is happening in your mouth. Since we are able to enlarge the inside of the teeth to more than 40 times their actual size on a full color screen display wtih an intraoral camera we see much more than we could with the human eye alone. Often, we find the beginnings of periodontal disease or tooth decay that would have otherwise gone undetected if examined without the intra-oral camera.